Hello everyone, thank you for visiting our website and for checking out my Blog, which I realize that I need to keep updated more often!! I will try harder I promise!! 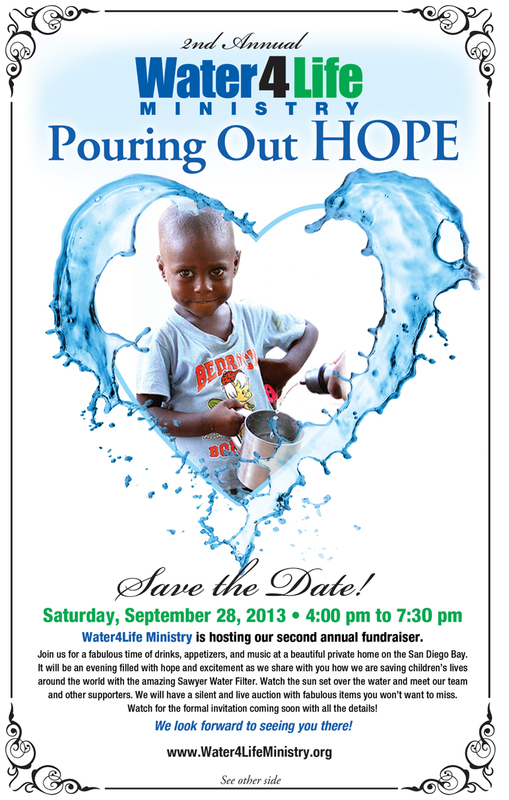 We are having our 2nd annual ” Pouring out Hope ” event at the same beautiful tri-level home as last year, overlooking the San Diego Yacht Club on Sat 9/28. 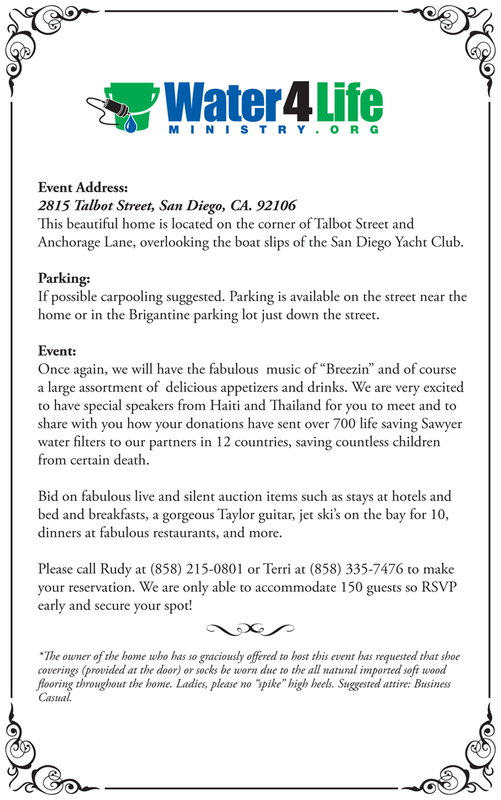 It’s going to be a magical evening with live Jazz music by Brezzin, great food & wines, beer and drinks, live and silent auction items ( including a $2,700 guitar donated by Taylor ) and we have the pleasure of having two of our partners speak, one from Thailand and one serving the hurting in Haiti, along with showing other partner videos on a giant screen from around the world. Please see the two part Save the Date flyer below with all the details and RSVP to rudysayshello@aol.com or give me a call at 858-215-0801..sure hope that I get to meet you! !